Snap-A-Striper Man of the Year! With a clientele that includes many family groups new to saltwater fishing in Maine, Captain Hildreth released more than 200 stripers up to 43 inches in 2015 and managed to email photos of 90 of those fish with Snap-A-Striper catch data cards in place to the Gulf of Maine Research Institute (GMRI) where researchers are collecting the data to learn more about striped bass in Maine waters. Snap-A-Striper is a collaborative effort between GMRI and CCA-Maine and local anglers, captains and guides. Body shape data collected from striper photos as well as data from the otoliths (ear bones) of legally harvested fish can help GMRI scientists determine the origin (locally spawned or migratory) of stripers in Maine, information that can improve management of the resource. CCA-Maine is a founding partner with GMRI in Snap-A-Striper. Some 280 striper photographs with accompanying catch data have been submitted to GMRI during the 2014 and 2015 seasons and the Snap-A-Striper program will be continued in 2016. For full particulars on Snap-A-Striper and how you can get involved, go to Snap-A-Striper on this website or email stripers@gmri.org. 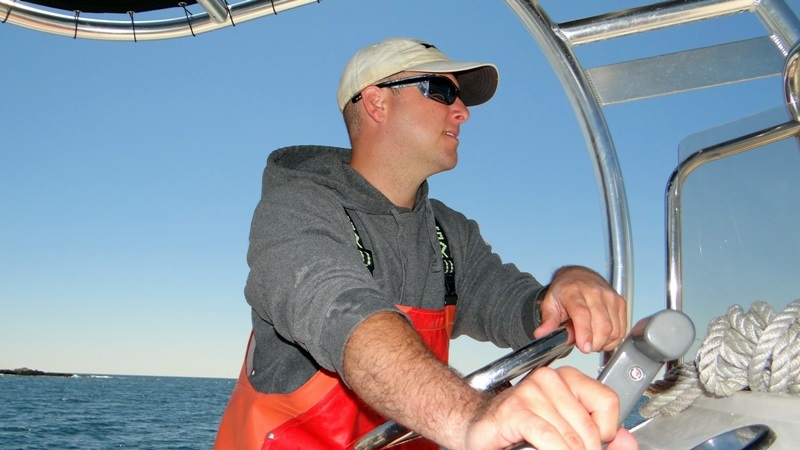 To reach Captain Hildreth, go to captain@noslackcharters.com or call 207 450-9428.